When I got closer, I found this wonderful surprise little gift. Thanks anonymous paper-folder! You brightened my day! 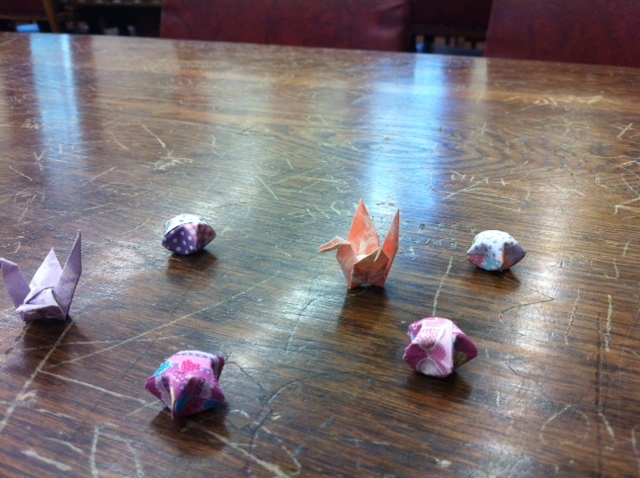 This entry was posted in Uncategorized and tagged libraries, origami. Bookmark the permalink.